Gecko Time online magazine published its first articleon March 7, 2009. During the past 10 years, Gecko Time has been an important resource to the gecko community with the wide range of articles it has published. Articles have included interviews, DIY instructions, product reviews, species and genus profiles, genetics information as well as many other topics. Ten years is a long time, and is more than half a lifetime for some of our younger gecko keepers. To celebrate Gecko Time’s 10 year anniversary, we have asked as many of our contributors as possible to reflect on the last 10 years of their gecko related lives and their plans for the future. 1. How does your level of involvement now with geckos compare to your involvement 10 years ago in 2009? If you’re no longer involved with geckos, give us some idea about that transition. 2. Give us a snapshot of your gecko-related activities during the past 10 years: What changes have you made in your gecko population, interests and priorities? 3. How, if at all, have other aspects of your life affected your gecko activities? 4. What are your plans for the next 10 years? Ten years ago I had the most exotic pets I’ve had at one time. I had multiple snakes and amphibians as well as lizards. Right now, I have very few exotic pets. I am moving, getting married, and getting used to a new job. However, one thing that I have now that I didn’t back in 2009 is baby geckos that I have taken care of from the time the eggs were laid. I have 2 hatchlings and 1 adolescent crested gecko. Ten years ago I only had a leopard gecko. Since then I have kept frog eyed geckos and crested geckos. My interest shifted from desert species to tropical species. At one time I had 4 crested geckos. Now I am at a point where I am not acquiring new pets and am actually reducing the number of pets I have. I hope to save up and start a business in the next 10 years. My upcoming marriage, starting a new job, and other life events have been the heaviest influence on my gecko activities. I am choosing to place my priorities elsewhere and not own reptiles right now. Financially I would not be able to provide the level of care I want to give all pets I own, and I definitely don’t have the room either. 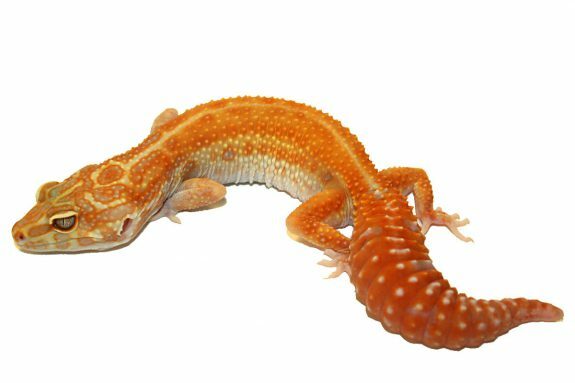 In the future, I hope to save up a big chunk of money and start a business breeding and selling multiple different species of geckos. 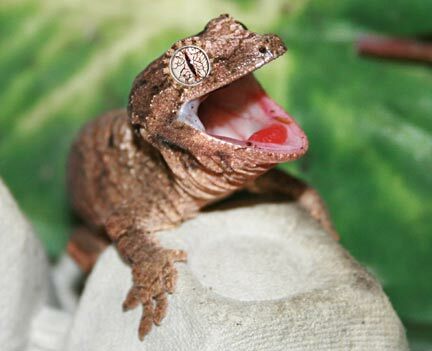 If the business doesn’t pan out I would like to have a couple of different rare species of geckos as pets. I didn’t get involved in gecko keeping until 2013, when I took in a leopard gecko suffering from MBD. Over the past six years, several more geckos have joined my collection. 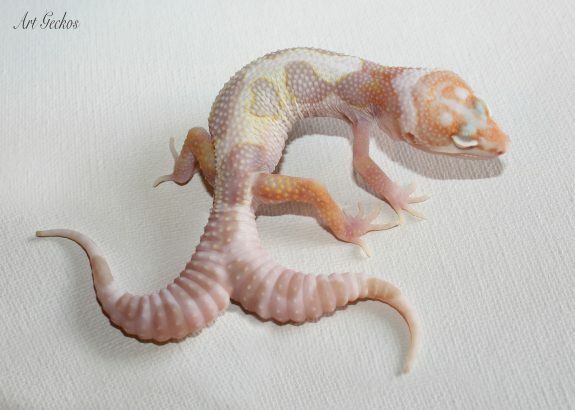 Leopard geckos in particular have become an obsession, especially the Afghan subspecies and co-dominant snow morphs. Some of my time with geckos also is spent working as a foster parent for The Gecko Sanctuary, helping neglected animals recover and join new homes. 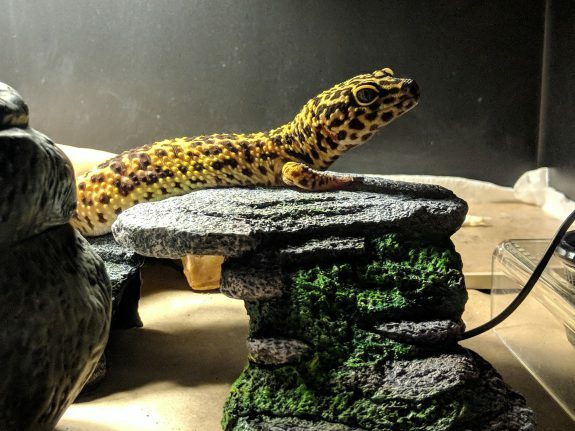 The leopard gecko community was very welcoming and active at the time I joined, and I became interested in breeding quickly through my involvement on forums and Facebook. I tried breeding myself last year, and while I didn’t have any success, I greatly look forward to trying again this coming season. As always, hobbies have to be balanced with work and family. There are times when life is so hectic that my involvement with the geckos drops to necessary biweekly maintenance, and there are other times when I spent hours building bioactive habitats or photographing the collection. The reptile population in my home remains small compared to other breeders. 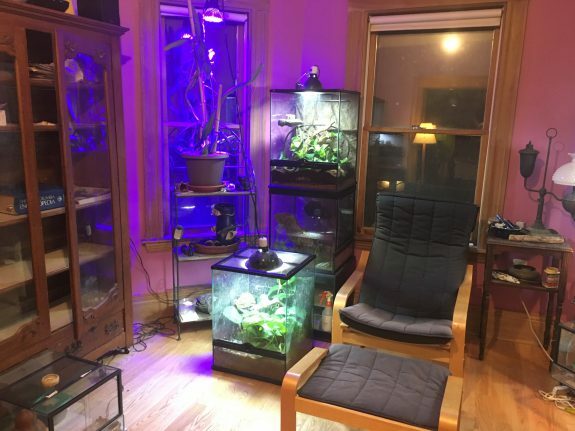 Part of that is because I don’t like to keep mature animals in racks long term and space in my home is limited, but there’s also a real financial burden to heating and feeding reptiles. My forecasted budget and available time play a key role in determining what animals I acquire and what years I breed them. I will always be involved with geckos and the community! Since I became 100% disabled and my husband and I retired to our home on 5 acres near Yosemite, I can no longer give the care a large number of geckos require. I now only work with 3 species instead of 9, an only have a few main breeding projects on a much smaller scale. 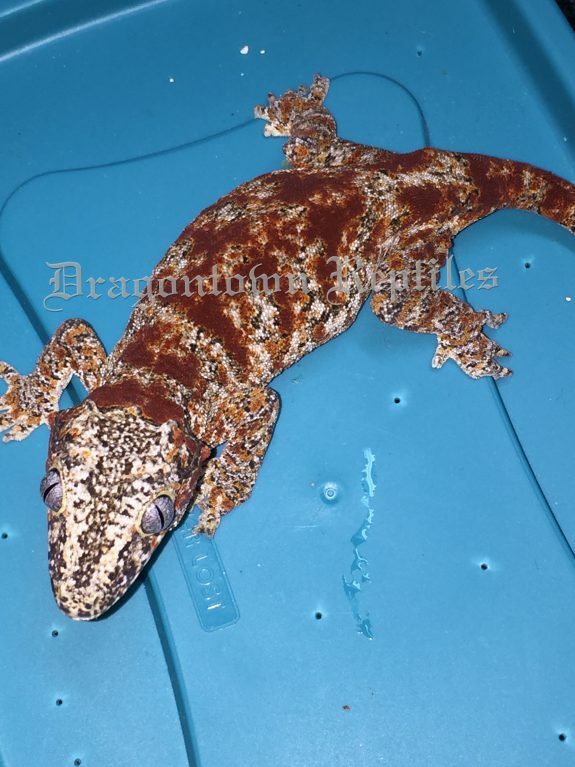 Over the past decade, I have defined Golden Gate Geckos with signature morphs like my Tremper Sunglow, Murphy’s Patternless, and created the world’s first Bold Stripe Rainwater Albino lines. Being physically limited and living very rurally has affected my ability to provide care for a large number of geckos, and transportation to ship them. My hope for the next 10 years is to live a full life enjoying the beauty and nature of the Yosemite area, and reach my 75th birthday with my geriatric geckos! In comparison to my level of involvement with geckos in 2009, I am definitely far more involved today. Within the past ten years, my involvement with geckos has increased exponentially. I went from helping to care for my dad’s pet geckos to having my own crested geckos, which I ended up breeding for a short period. Cresteds were my main species of interest for several years, but I have found myself becoming more interested in Phelsuma within the past year. 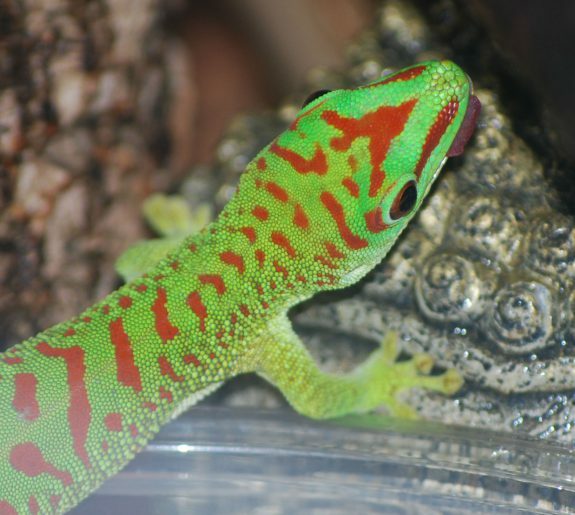 As a result, I have slimmed down my collection of C. ciliatus, and have started working with Phelsuma, my first animal from this genus being my male crimson P. grandis, Charlie. My current focus with my geckos is to give them the most enriching life in captivity possible, which I achieve through naturalistic setups and varied diets. 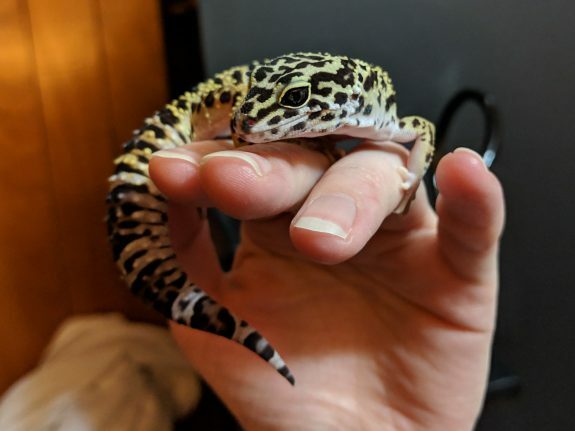 A recent move to a different state led me to slim down my collection significantly, but other than that, my gecko-keeping has not altered much in the past 10 years. 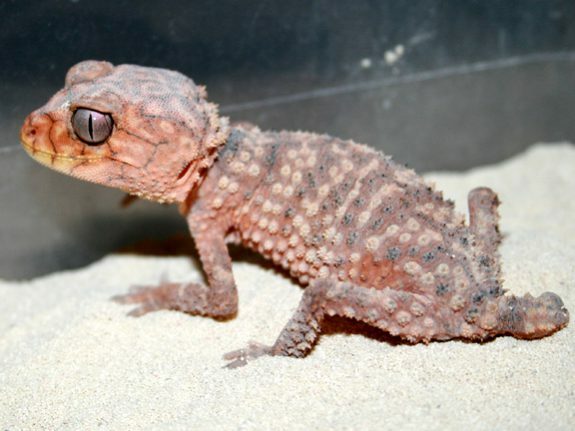 My plans in gecko-keeping for the next decade include potentially venturing into breeding P. grandisand incorporating new species into my collection. R. leachinaushas been a dream species of mine for years, so hopefully by 2029, I’ll have at least one! Although I am still quite active, I had to reduce the number of species kept as I had more and more work and less time to keep them all, I basically cut my collection in half but still care for 15 species of geckos. I had a fairly nice number of dwarf gecko species, but keeping dwarf species doesn’t necessarily mean less work than keeping larger ones. I now focus mainly on New Caledonian species, but always keep a look at the other species around as there are so many species worth a look. But my work activities take a lot of time, also being a single dad, means also lots of work at home, which is the reason I have been focusing on rather easy species currently. My life has affected my gecko keeping quite a lot. I had several changes in my life the last couple of years that had me rethink the species I wanted to keep. I had to part ways with several species I had and it wasn’t easy to choose which I would keep or not; I just made sure the animals I parted ways with were placed in good hands, mostly with close friends. I am hoping things will settle a bit and will allow me to add species I have been dreaming for quite some time now, among New Caledonian but also among other exotic species around the world. Hoping also to keep breeding the species I have and hopefully add some more into the breeding list. Dragontown is beginning season number 19 this year. I’m still working with the same species (Cresteds, Gargoyles and Chahoua) but have added Eurydactylodesin the last ten years, regularly producing E. agricolaeand E. vieillardi. Leachianushave also been in the mix. Overall I have ramped up production in the last ten rears and will continue to do so going forward. The expo schedule is expanding as well. Over the last two or three seasons I have begun putting more emphasis on high-color Gargoyles and will ultimately be increasing their population here. I feel like I have three full time jobs between my day job, the geckos and the rock band, not to mention being a dad. Somehow I’ve managed to balance everything and my son has begun working shows with me and producing his own animals now so that definitely helps me keep things running smoothly! The next ten years are going to be exciting. I’ve not lost the wonderment or enthusiasm that had grabbed me from day one and I’m looking forward to producing some amazing animals. I’m also looking forward to what’s in store for my son (Dragontown Jr.)! 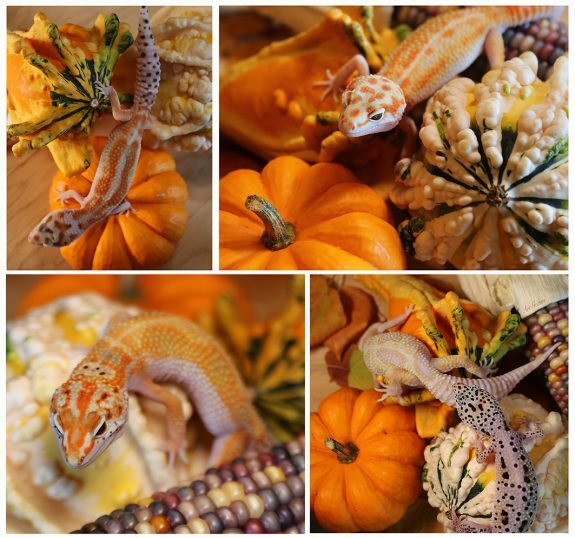 Art Geckos was founded in the Fall of 2012, during my last semester of college. I realized I could go to work for someone else to achieve their goals, or I could start a business and pursue my own goals. As you can imagine, the latter was much more enticing. 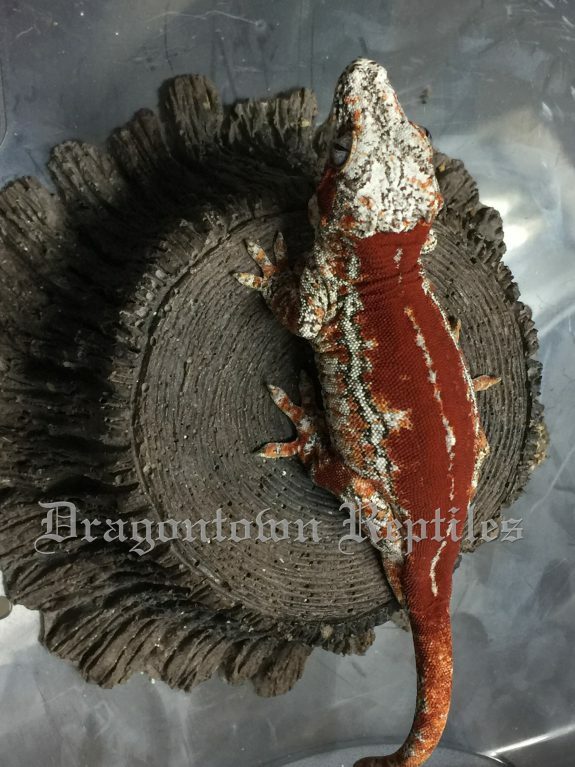 Up until this point, I’d only owned 5 pet leopard geckos from the big centralized dealers, and had never bred them before. A few of these Leo’s are still alive today at 17 years of age! Ten years and two thousand geckos ago, I had no idea this is what I would be doing full-time. It’s truly a blessing to work with amazing genetics and optimize for freedom simultaneously. I’ve been blown away with the passion and enthusiasm others have for these gregarious geckos. If I wasn’t working with Leo’s I would most likely be working in a lab doing medical research. Our Gecko population has been carefully selected and optimized for 7 generations now. As Niels Bohr pointed out “An expert is a man who has made all the mistakes which can be made, in a narrow field.”– It’s funny but it’s true. 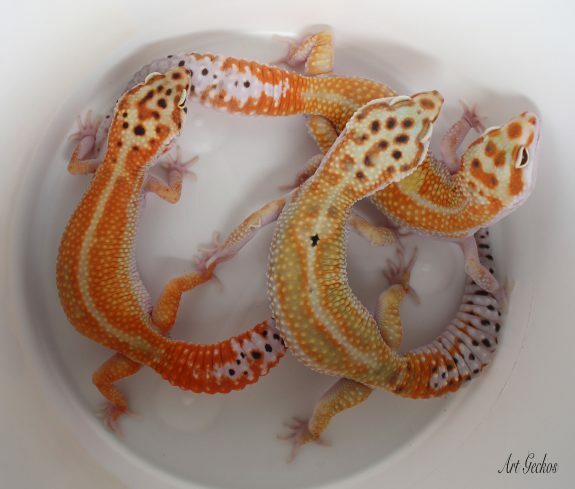 Turns out there is a lot of mistakes one can make breeding leopard geckos. We continue to encounter new challenges and even failures, that require a new system to be put into place to ensure that the same mistake does not happen again. For example, in 2018 – during the hottest month on record ever in Reno – one scorching July day, the A/C decided to die, claiming 150 fertile eggs along with it. I made the mistake of buying an Air Cooler right away, which only pushed hot air around – by the time I got a new A/C unit installed 24 hours later, it was too late. The lesson here is always be prepared to buy and install essential equipment. This would apply to a power generator should a prolonged outage occur. These two factors depend on operational effectiveness. Having the discipline to do what you should do, when you should do it, whether you feel like it or not, is fundamental. If you take good care of the animals, they will take good care of you. My goal is to optimize the health and genetics by being very selective in choosing healthy and robust breeder pairs. We have the ability to shift the health and beauty of these animals by always selecting animals on the far right of the bell curve: the fitness of offspring produced in any season will fall on a normal distribution, where some less desirable, some are average, and some are exceptional. If you only hold back and breed the exceptional animals, the average outcome will lean towards being exceptional. Repeat this for a few years and exceptional will become the normal outcome, and the new outliers will even better. You will begin selecting from their genome in new and amazing ways, ensuring you are always on the leading edge of what is possible. I also want to share an insight about why this works as a business model. 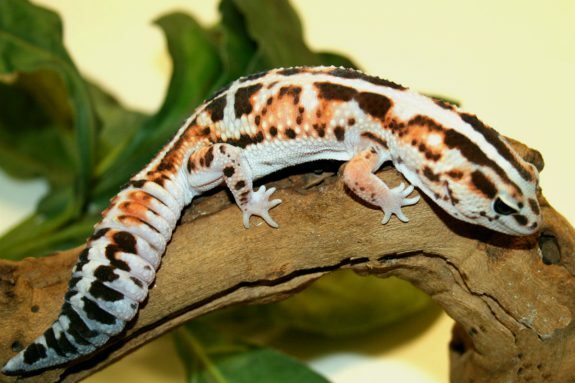 1)People love Leopard Geckos. 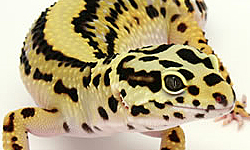 2)People can create with Leopard Geckos. It’s so rare that you find a product you just love. Leo’s check this box. Furthermore, they can be used to create new life. A person can assemble a unique pair and create new outcomes that never existed before, unique to their set of genes. So, it’s this process of falling in love and creation that makes breeding geckos such a powerful and arguably addictive, industry. In general, the gecko activities allow for freedom. This may seem counter-intuitive, as often a breeder is ‘married’ to the collection – but by sticking to a proper schedule, it’s easy to take 3-7 days off at a time if needed. 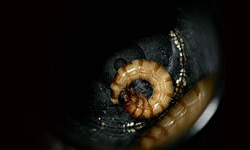 Less when babies are hatching everyday – but in the off season, it’s very possible to travel, attend conferences, etc. I do like the idea of becoming the ghost in the machine, by hiring employees and maybe taking on a more educational role in the community. Which leads us into the next 10 years. It makes sense to now get a legitimate facility. Having a space for the animals with a studio for photography/videography would be ideal. Being focused on acquiring rare genetics and increasing genetic diversity of our population is a top priority. The benefit of investing in tons of racks early on, is it’s a marginal cost – and not an ongoing expense, thus, freeing up funds for new genetics. Integrating a tool like CRISPRto cure problematic animals with genetic deficiencies is of great interest. The health and well-being of the animals always takes precedence. I look forward to the day when we can write genetics, and can avoid undesired outcomes. Also, doing everything online (not attending reptile shows) seems to make sense, given how connected our world has become. We are living at the greatest time in all of human history, and our understanding, treatment and production, of leos will only get better into the future. So, if you are on the fence – I encourage to join the evolution and make your contribution! A snippet of our week 10 years ago- Monday – Friday work 10 hour days then about 1-2 hours an evening in the facility then another hour or so on social media/emails/our newsletter/shipping animals. Saturday and Sunday would be another 4-6 hours in the facility. I was also doing around 25 shows a year and fitting those days into my facility time. Today, I spend 0 hours at work (not currently working) and around 4-5 hours daily in the facility working with the geckos. I would say another 2-3 hours a day are spent on social media, creating videos, etc. This is a BIG change for me and I feel like I’m still adjusting to the schedule. 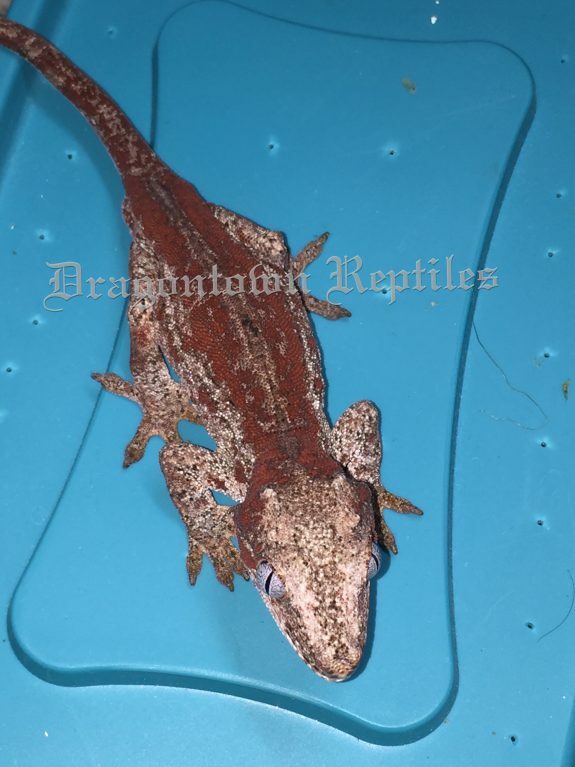 Going back 10 years ago, I was just getting into the different crested gecko morphs (especially the reds as everyone knows) and getting a start on gargoyle geckos. Leopard geckos were filling a whole room as I focused on the classic morphs. 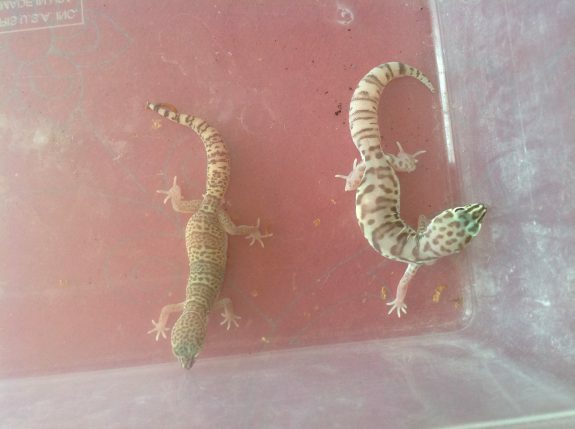 I was also venturing into new geckos like the Paroedura and micro geckos. 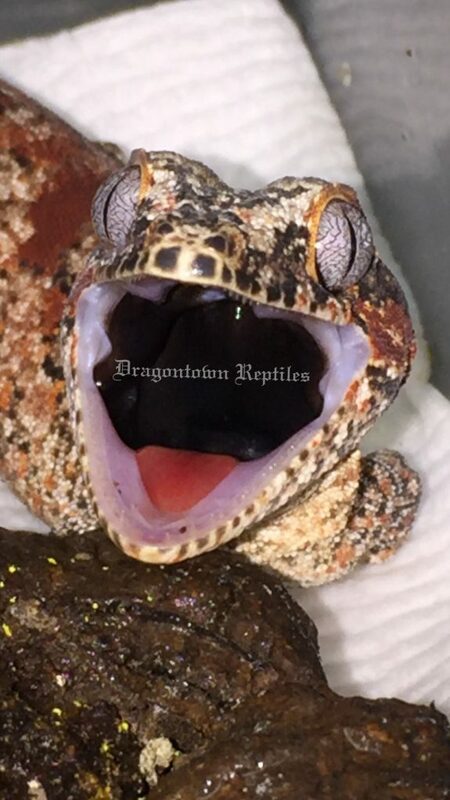 Today, I work with around 70 breeding groups of crested/gargoyle geckos. This makes up around half of my collection at Supreme Gecko. Other African/Australian/Madagascar geckos make up the other half. Social media was also beginning 10 years ago with Facebook and ramping up. We produced a monthly newsletter and were just starting to utilize YouTube videos. The Supreme Gecko web site was being built with hundreds of gecko related articles. Today, my emphasis is primarily keeping up with Facebook and creating content through YouTube. 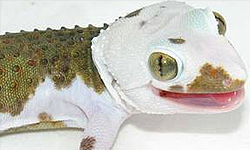 One note about the geckos: currently, I’ve veered a bit and now exclusively breed only what I love to breed. I wish I would have kept this focus right from the beginning. I am now focusing now 100% on our business. Three years ago, work consumed my live and caused me to be absent from the geckos for 2 years. Luckily, my wife stepped in and maintained the animals. Now, I can devote more quality time to the geckos and the community. Looking towards the future, I have specific projects with our main animals- crested, gargoyle, leopard, and P. picta geckos. I will also follow my passion of working with new animals that I have not worked with before and share my findings with the community. I feel like I learn something new every day from my animals and don’t think that will ever stop. And, last but not least . . . While living in Boston I had the wonderful opportunity to become close friends with Aliza and her family. During the first two years we lived in the city our collection grew from a handful to a few hundred. After two years we moved to a smaller apartment and decided to part with our geckos but maintain a small collection of poison dart frogs. I’ve had the itch to grab a gecko or two since then but I have’t owned a gecko in 5+ years. I had a collection of geckos in high school that I sold when I went to college. 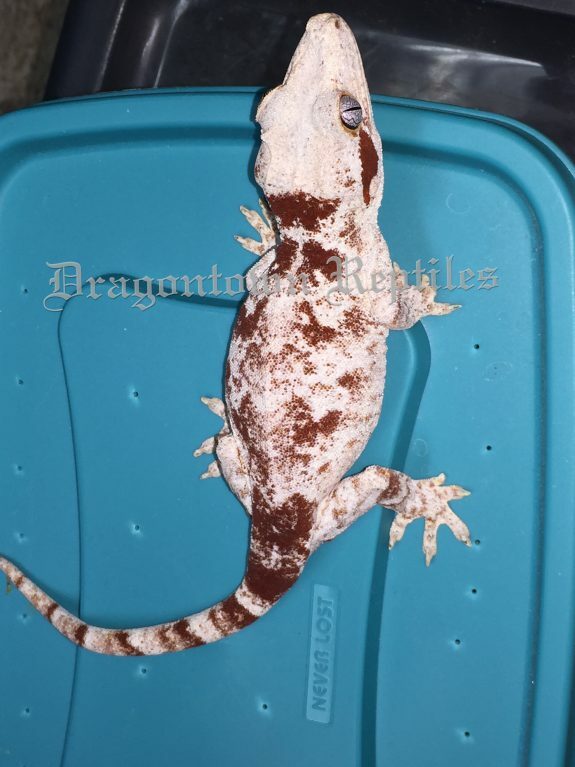 In my senior year I acquired a few geckos, from bold stripe leopard geckos to crested geckos. When I graduated, I moved to Boston, and along the way I accumulated 40 or so geckos across 5 species I was eager to keep post dorm life. Over the next two years our collection grew siginficantly. During a reptile show my girlfriend, now wife, noticed poison dart frogs. I was eager to give the Vivarium side a try and enjoyed the frog inhabitants that came along with the glass box that resembled a rainforest. Outside of limited vacations during my gecko collection time I’m not sure what else was impacted. I noticed some bug allergies and was always the talk of the party for the odd hobby. 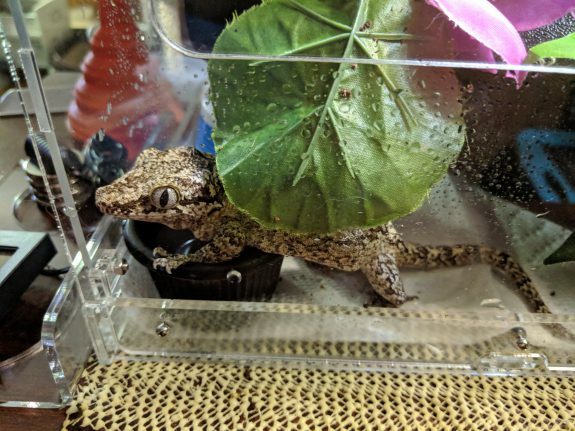 We may end up keeping a single larger terriarium as we start a family, but I assume our mass gecko colony days are behind us. I could see us getting a few of those odd pets we find familiar as we have children who get a bit older. 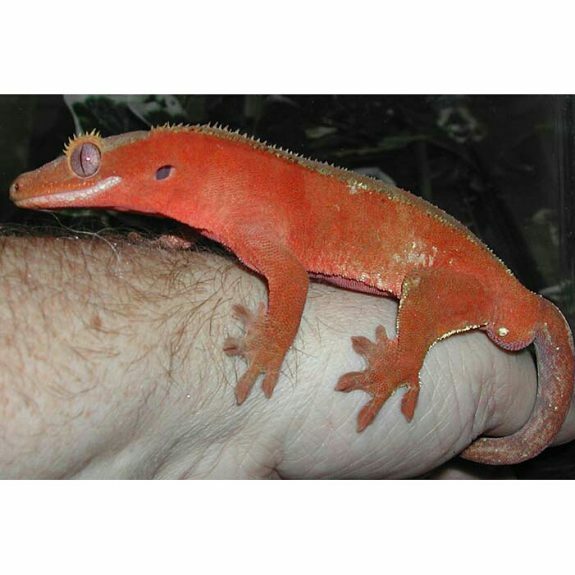 I bought my first gecko in 2003 and was breeding by 2005. The presence of these cold blooded colorful creatures in my life ignited a passion that has not abated. 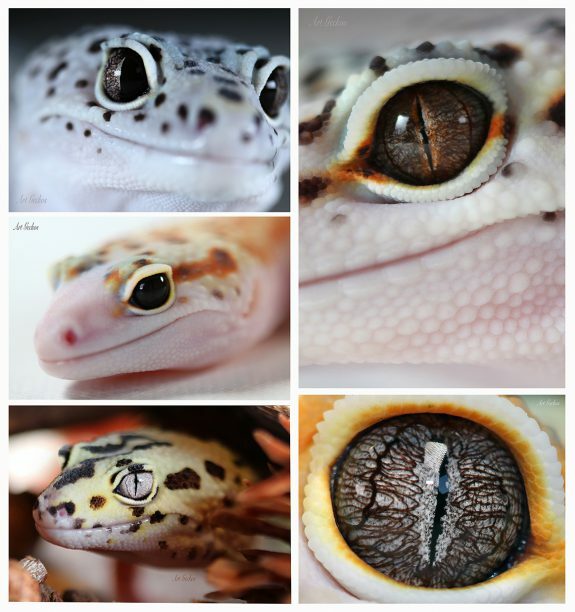 Keeping and breeding geckos, vending at reptile shows, and giving advice about geckos, not to mention editing an online gecko magazine, has taken up a considerable amount of my time and energy. Since there are at least 4 other things that take up a lot of time and energy, I still don’t sleep much. I started with leopard geckos, a typical beginner gecko. Many people move beyond leopard geckos and switch to more “interesting” species. 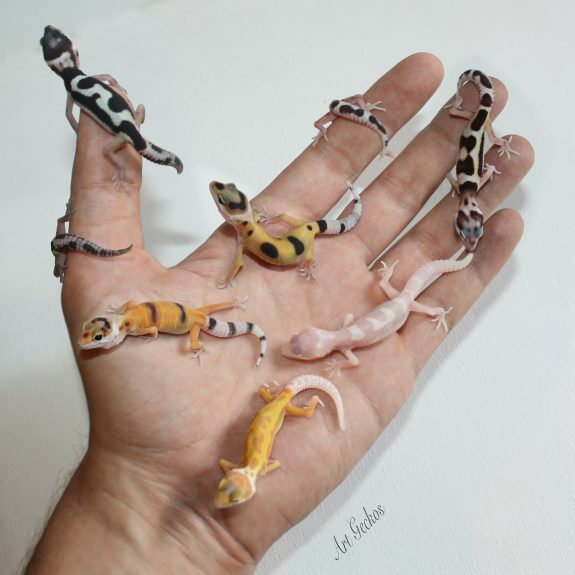 Although I did breed up to 5 additional species, leopard geckos remained my first love and the majority of the hatchlings I produced were leopard geckos. Unfortunately, in 2017, one of my geckos was diagnosed with cryptosporidiosisand subsequent testing revealed that the entire population was infected. 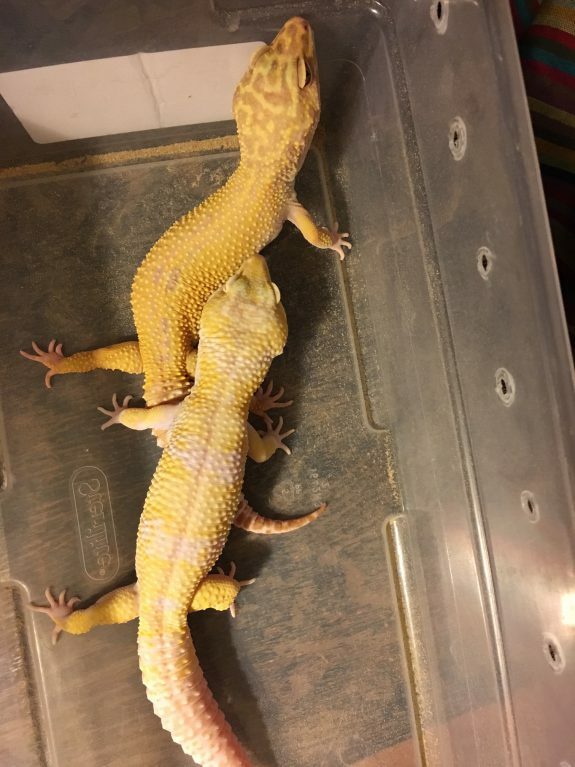 This put an immediate end to breeding and selling; I still have about 30 geckos that hatched in 2017 and cannot be sold. I lost about 10-15 geckos to this awful disease, but none of my remaining 60 (!) geckos has shown any symptoms during the past year. This makes me wonder about the long-term nature of “crypto” which I hope to investigate. I was very sad to have to stop breeding, though I have to admit I’ve missed it less than I thought I would. It’s kind of nice to have the incubators out of the living room! I really enjoyed reading this article. I am almost 65 now and had reptiles 40 years ago, then got away from it for a while, while raising a family. Back in it now, with geckos (& an anole), and wondering where I’ll be 10 years from now! Keep up the good work. I love reading the educational and personal perspectives of reptile ownership! Thanks for your comment! I’m hoping that other people will chime in with their 10 years with geckos stories! 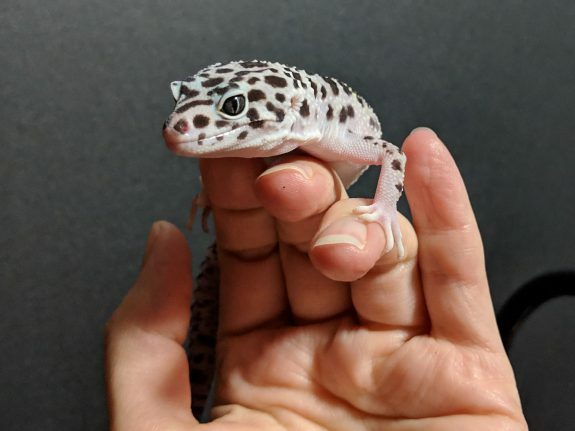 I sadly have not been keeping geckos for ten years, and am just a casual leopard gecko owner, but when I grow older(I am 13) I plan on getting some more geckos! Although that will have to wait for at least another 5 years. I have been reading these posts for 2 years now, and have owned a gecko for about the same time. Keep doing these great posts! Thanks for your comment. I’m glad you’re in it for the long haul!